Despite having high-quality players at each position, the New York Rangers struggled during the regular season and similarly under-performed during the playoffs. With the team out of contention, it's time for commentators to lay the blame on a single member of the organization as the catalyst for his corps' catastrophe. I lay the blame on Henrik Lundqvist. No, I'm blaming Kaiser Henrik for spreading glitter herpes throughout the team via his infected helmet. Is it just Konig Henrik or do Swedes in general consider glitter integral to the Statue of Liberty's message about taking in the tired, poor, huddled (and drab) masses yearning to be sparkly? 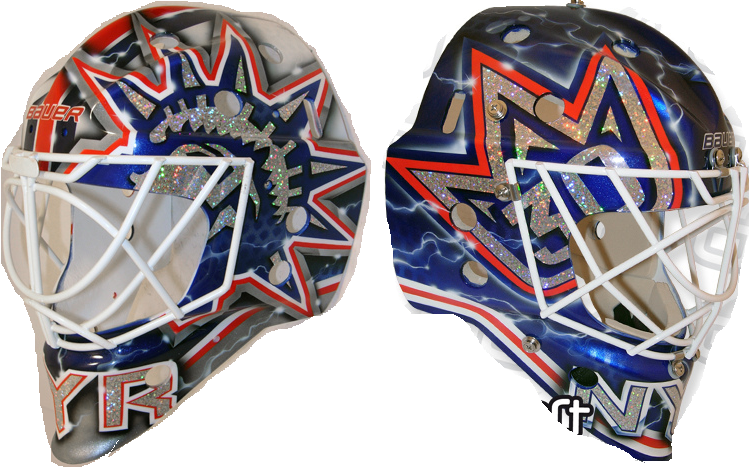 (To see Lundqvist's many glam helmets, check out the mask gallery at daveart.com). If you're unfamiliar with the term, "glitter herpes" is a arts-and-crafts phenomenon in which people find that glitter used on different projects (even ones completed years ago) reappears in new projects as well as throughout the crafty person's home and on his or her person. Like its STI namesake, glitter herpes sometimes remains dormant for long periods of time between outbreaks. In case you're unconvinced, here's photographic evidence that shows how invasive glitter herpes can be. 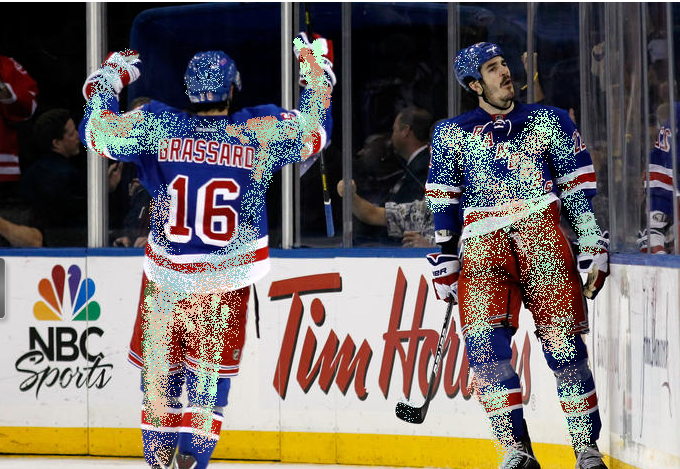 Pictured: Brian Boyle's and Derick Brassard's jerseys are barely intelligible due to the spread of glitter in the Rangers locker room. While glitter herpes shares no serious health concerns with its STI equivalent, it does cause problems for hockey players playing with it. Some speculate that John Tortorella was angry all year because he could never get the glitter out of his hair. His condition has been referred to by other teams as "pixie dandruff." 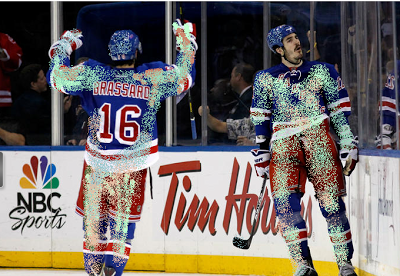 As you can see, the vision of Ryan Callahan and Rick Nash has been obscured by the spread of glitter on each player's visor. 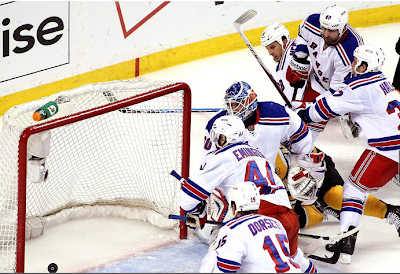 This impairment directly resulted in key goals against the Rangers during the playoffs. To give you a better idea of the detriment that glitter has posed to the team, please review the following pictures. Here's how we at home and the Bruins in TD Garden saw a pivotal goal in the series. And now, here's what that same picture looks like through a visor coated in glitter. Given the interference from Dee Snider, Mariah Carey, Lucky from Lucky Charms cereal, Tinkerbell, Bootsy Collins, and a unicorn, poor Henricus Rex didn't have a chance to make this save. 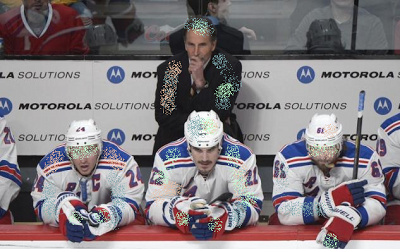 Had the austere colour of the puck not helped Henrik Caesar see shots amid the ambient glitter of the rink in Madison Square Gardens, the Rangers wouldn't have been able to eke out that single win at home against Boston. Even so, the officials at MSG had to use dozens of pucks per game as each one quickly became too glitzy to use in competition. 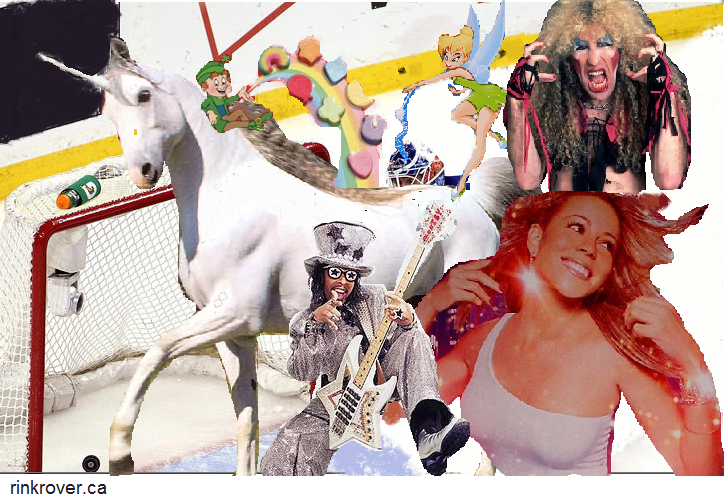 Indeed, the sheer amount of glitter swirling around the arena often halted play by compounding into disco balls that bounced around the ice like tumbleweed. 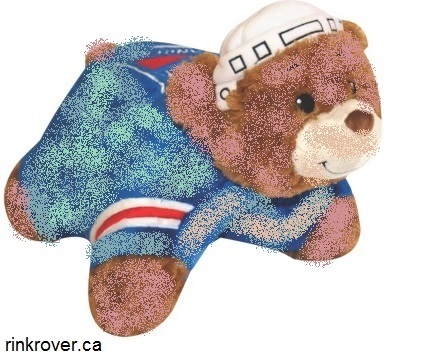 The only positive to take from the playoff losses due to glitter herpes is that the phenomenon has given the Rangers material with which to choose (finally) a team mascot that reflects the team's identity as a group known for playing "glam rock 'em, sock 'em hockey." To make this unconventional mascot more palatable, I've deferred to tradition by basing it on a bear. The NYR bear will have a menagerie of backing beasts accompanying him. Tentative name: Teddy Stardust and the Saucer-Passers from Mars. 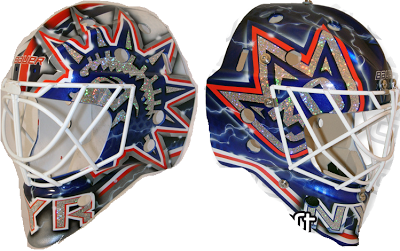 Hopefully Henrik Roi, after spending the summer thinking over how his helmet mishap has ruined his team's chances, will return in the fall with a less-contagious and more intimidating helmet. If he still wants something elaborate to the point of ostentation, he might consider wearing a model of a a dragon-headed Viking longship on his head!